As you know, I asked my contacts to guess how old I am. Today is my birthday, so it is only fair that I give the correct answer to that question. I have had a wonderful time with Ra, Debbie and my grandson Connor at Ra’s place today. A home cooked meal of ham, scalloped potatoes, and green beans was awesome, as was the birthday cake….and I have a “doggy bag” in my fridge. So… here’s the scoop! Dave, I think you were just being kind when you said “ 80”. Judith was a little closer with “82-84”, but both are wrong. 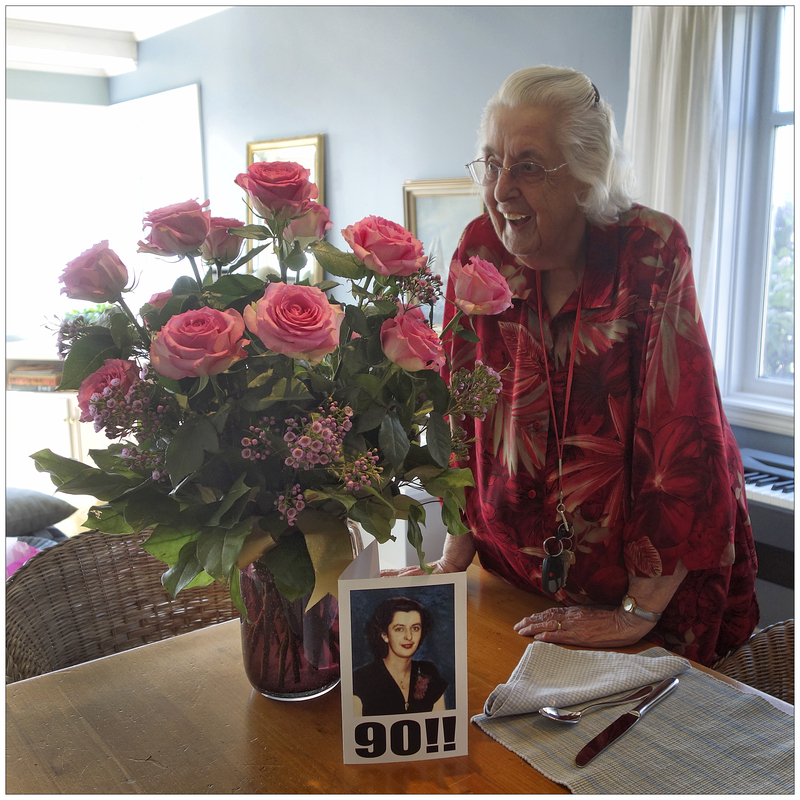 I was born May 9th, 1923… which makes me 90 today! Hi, Norma – thank you for sharing your day with us. Sunshine and love – filled with everything I’d hoped for. 🙂 Wow – a beautiful cake, gorgeous flowers! And there’s wonderful you – 90 on the outside but 19 on the inside. Sounds like a very tasty dinner, an excellent day. HI Heather! The dinner was excellent… so were the contents of my “doggy bag”. I had ham and scalloped potatoes with my egg this morning! Thanks for coming by Heather. you look marvelous ❤ The flowers are almost as lovely as you 🙂 Glad you had such a wonderful day! I love you, too, Kallie. Thanks for commenting! Congratulations, Noni Grace! After I posted that, I went to where you were talking about moving in the 1920s, so I knew I was a little short. But I’d already made my guess. Glad your day was successful! Wishing you many more happy days. You make my day each time you post here. Sending a hug — or two — or three. Good afternoon, Judith. Thank you for dropping by… and for your friendship. It does feel that we have known each other for a long time. So I guess this means my copy of HOT SHOTS won’t be in the mail? All the best Norma. Hi Dave, Maybe you can get a copy of Hot Shots from Ra. I had a lovely time with him, Debbie and Connor yesterday. Oh, I agree with Heather… maybe 90 on the outside, but definitely 19 on the inside! So glad to hear you enjoyed sharing your special day with family. May it be the start of a wonderful year for you. Hello Carol, Thanks for being there for me at all times. You are very special, and so is Bob. They say you can pick your friends, but not your relatives. I lucked out.. you’re relatives, but more importantly, you are both my dear friends. I love you! Thanks Norman! Now you know how old I really am! Thanks for coming by and for your comments… always appreciated. Happy Birthday!! 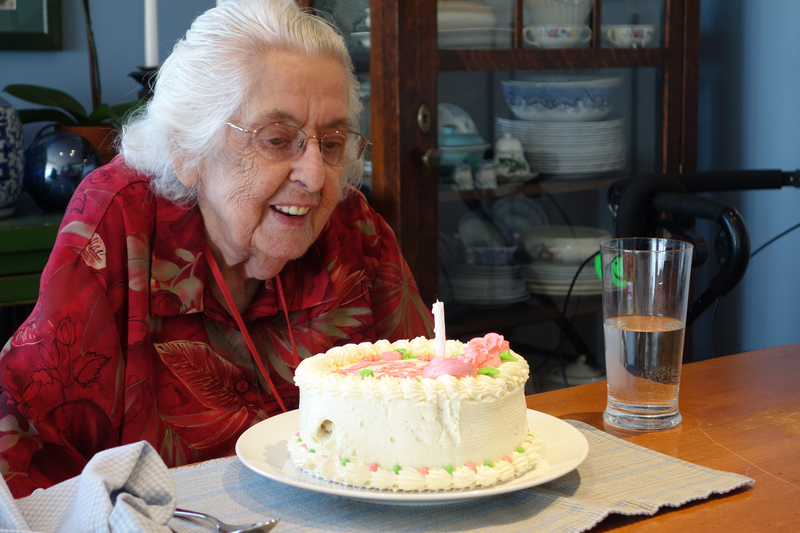 I’m turning 39 on May 15th, and my grandma would have been 99 on your birthday! Wonderful photos, love your blog!! Welcome to my blog, Virginia. I hope you will continue to enjoy it. Sometimes I serve tea… maybe you will be lucky and come when the kettle is boiling. A belated Very Happy and Wonderful 90th Birthday to you Dear Norma with hugs!!! Congratulations!!! Wow, that’s quite a milestone! I’m over in England on a little trip visiting a friend and haven’t been able to get online. Glad you had a nice time with your family! Wishing you all the best of everything and more hugs!